After 30 years in the making, author/photographer Stephen Farley has published in both Amazon print and Kindle versions an intimate view of a culture that confounds most Westerners — the Arab world. In this case, the lens is Cairo’s busiest downtown food marketplace, the Suq Bab el-Louq. Today more than ever, it is incumbent upon us all to try to understand each other, particularly the West and the Middle East. What better way of achieving a more peaceful world than really sharing who we are and what we do in our everyday lives? In 1983, a 20-year-old kid from California wandered into a marketplace in downtown Cairo, Egypt, looking for some eggs to cook for dinner. What he found in the Suq Bab el-Louq was a fascinating world of commerce, ritual, community, and personal drama — constantly changing, yet unchanged for decades upon decades. Truth is indeed more amazing than fiction. These stories draw the reader into an intimate connection with the people of a culture that few Westerners have experienced at this level, a culture that we must understand better as we seek to live in harmony with those who seem outwardly different from us. The stories within are endangered. Much has changed in Cairo in the past thirty years, and the suq and its denizens have all but disappeared as the internet and world trade have altered the way we shop. 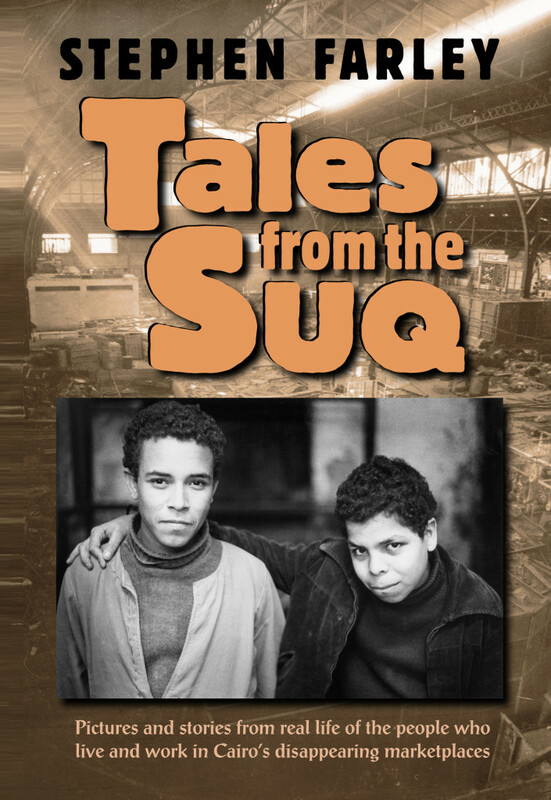 In the pages of this unparalleled book, the suq lives on. 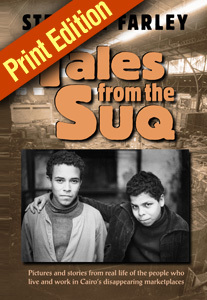 This is a collection of stunning black and white photographs with a gripping narrative story of the Suq’s denizens and how the place works. Economists, historians, travelers, political scientists, fans of the Middle East, and general readers will be entranced by this almost uncategorizable but unmissable gem of a book. Come inside. You will never forget what you find. NEW: if you are in the Tucson area, you can buy this book from two independent booksellers: Antigone Books on 4th Avenue just north of 7th Street (on the streetcar line), and Mostly Books at Speedway and Wilmot near Beyond Bread. Click the covers below to buy the Print or Kindle editions from Amazon.com today! If you are an AmazonPrime member, you get free 2-day shipping.